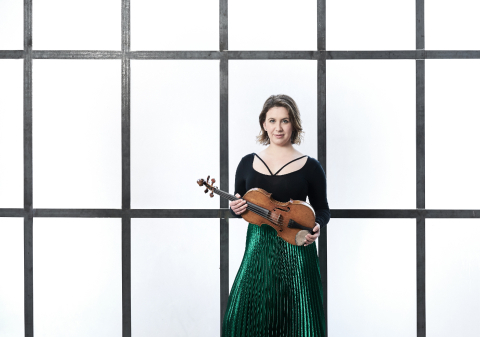 We are delighted for our Manchester season finale to welcome back our Artist in Association, violinist Chloë Hanslip, directing a concert that opens with Wolf’s Italian Serenade, described by Max Reger, as an “appealing work …of such an enchanting tonal charm, of such a captivating, highly original colour that it will certainly inspire the greatest enthusiasm when it is performed”. The short but nonetheless beautiful Elegy by Grace Williams follows before Chloë steps out of the orchestra to play Bach’s A minor violin concerto. She continues as soloist in the second half in Arvo Pärt’s deeply atmospheric and virtuosic piece for violin, strings and single percussionist. And to close our first season as Orchestra in Association at The Stoller Hall, we play Tchaikovsky’s ever popular Serenade for Strings. Tuneful, poised and energetic, this is the great Russian composer at the height of his powers.